While most fashionistas consider Fashion’s Night Out the kick off of Fashion Week, true insiders know that anyone who’s anyone began the celebration at the Missoni For Target Private Launch Event. Despite the inclement weather, VIPs lined up on 6th avenue (at 42nd street) to shop the latest Target collaboration. Once inside, guests were treated to lite bites (including everything from prosciutto wrapped asparagus to mini macrons), champagne and a bevy of beverages, as they perused the “floating racks.” The good sizes went fast, but between the designer duds, snazzy shoes and dazzling home goods - there was something for everyone. 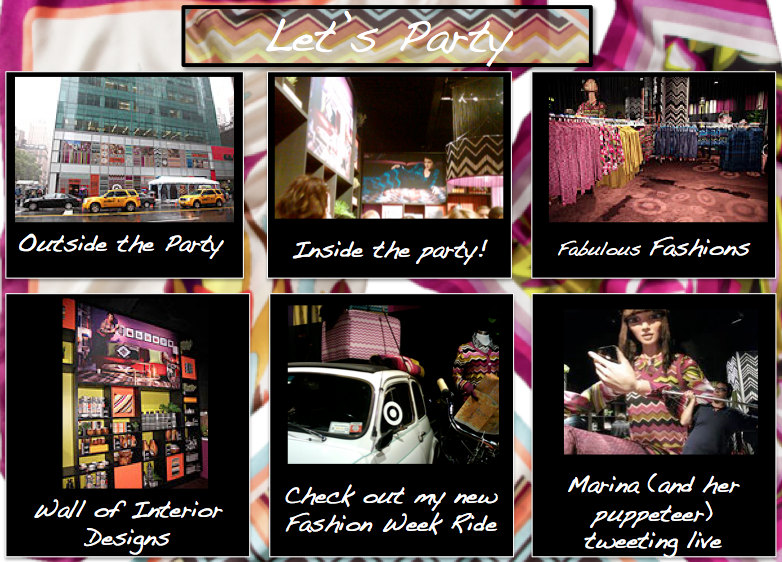 In addition to the fabulous fashions, we hung out with Missoni for Target’s infamous blogger, Marina (@marinawithstyle). This interactive 25-foot tall doll was controlled by puppeteers and spent the night greeting her galpals and tweeting live from the party. The Target team even had her messages projected onto a wall for all to read. It was a great night and we didn’t leave empty handed. We scooped up a funky Missoni for Target sweater – that will always be a reminder of our great night. 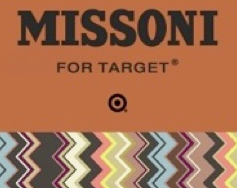 You might be jealous, but don’t feel too left out, because you can get your Missoni for Target on September 13th at www.Target.com.